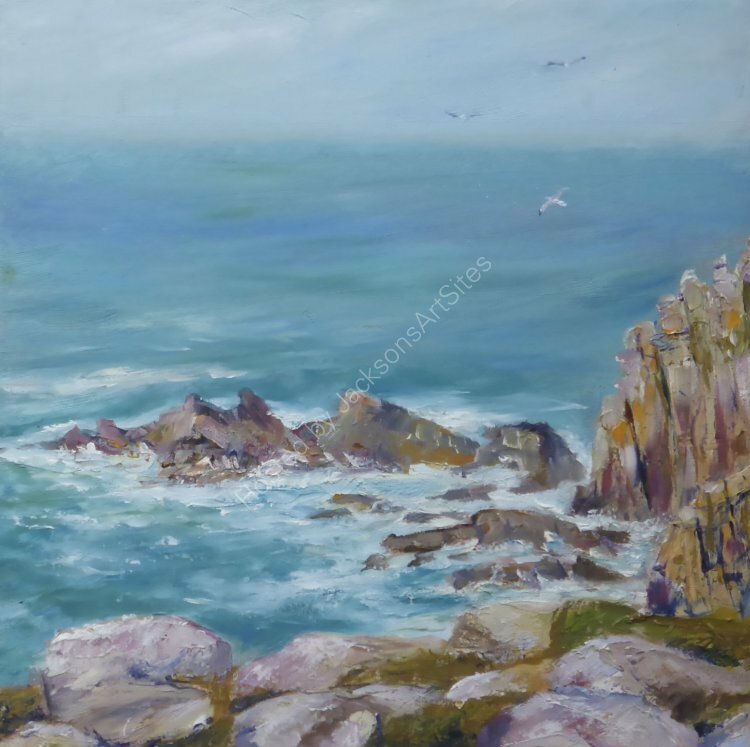 Stunning cliffs and rocks at Lands End, Cornwall on a sunny day - just had a have a go at painting them. An original painting in in oils on a stretched canvas, framed in a simple white frame. Canvas size 25cms x 25cms.